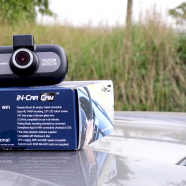 Home » Featured » Nextbase 412GW Dash Cam. If you spend any time on YouTube you will see a whole section of clips dedicated to Dash cam footage. You will be amazed at the collisions, close calls and random events that unfold right in front of your very eyes. I too have experienced close calls and a variety of random events while driving, but the level of badly behaved drivers right in front of me has escalated since I have been towing a caravan. A few years ago I did install a dash cam for this exact reason, and while the camera was good, it didn’t last. In fact when I did need the footage, I couldn’t get anything from the memory cards at all. The dash cam it self is small, easy to use and very easy to configure if you want to change some of the default settings. I used the Dash cam straight out of the box. Well almost. I did update the firmware, which was easy. I also altered the resolution so it would be easier to demonstrate the footage on YouTube. 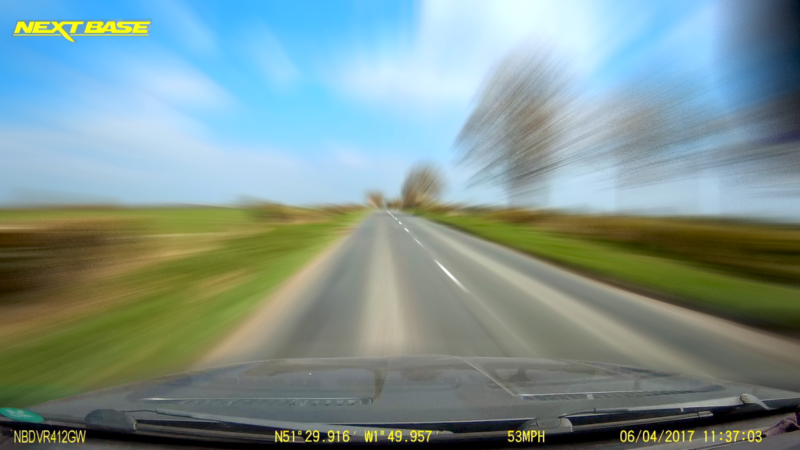 The Dash cam has some very cool features. The GPS can give an accurate location, calculate the speed but it also gives you a very accurate date and time. Secondly the dash cam has inbuilt Wi-Fi. This means that the dash cam can share its recorded footage with a connected Smartphone (iOS or Android) with Next Base free application. The Wi-Fi is a bit slow, but certainly no slower than if you grab the files off a Go-Pro via Wi-Fi. For these features and because of the quality of the footage I think this dash cam is an excellent investment. Its certainly something I would recommend you own if you tow a caravan. The quality looks great. I like the fact that has is GPS enabled, which is great! The price point is a little high until you need the video and then it doesn’t seem unreasonable. Garmin is always known to put out really good products. Would love to see a sample video rather than still, but great information. The Nextbase 412GW pushes the boundaries of what a Dash Cam is capable of, featuring QUAD HD 14 footage, which delivers stunning image quality at 30 frames per second. Hi, Thank for the info on dash cam’s, but i’m looking to get a wireless rear view camera mounted on the back of the van (without drilling holes in it). However I’m concidering a camera from a drone that can be clipped to the awning rail or rear sky light, small as you like with a transmitter to a reciever and monitor mounted on the dash. Do you know any body who fits these or has any experiance..